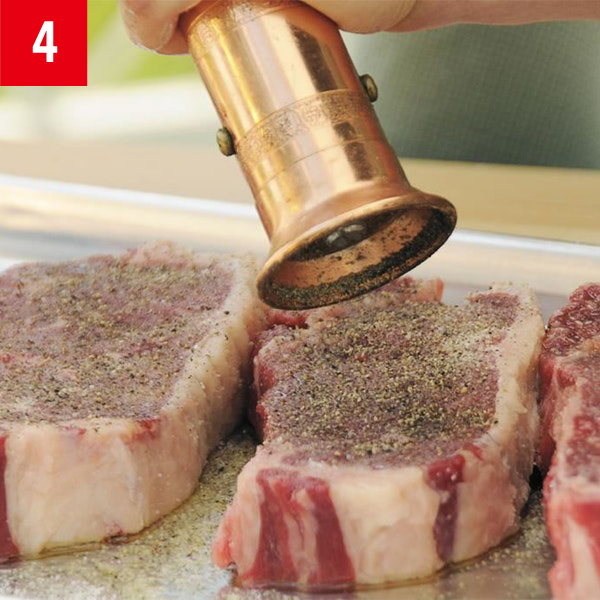 Lean strip steaks benefit from the rich flavor and slickness of extra-virgin olive oil. 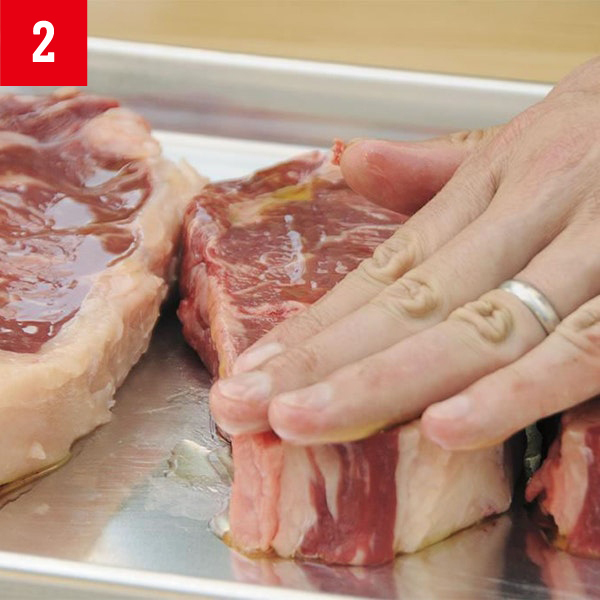 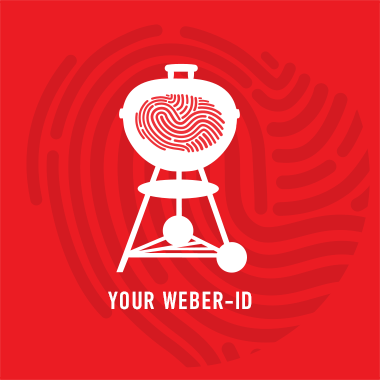 Rub the oil evenly all over the steaks to prevent them from sticking to the cooking grate. 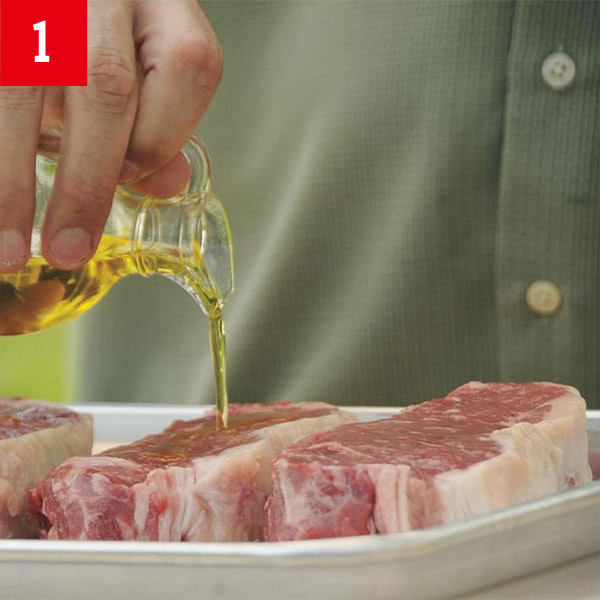 The oil also helps the seasonings adhere to the meat. 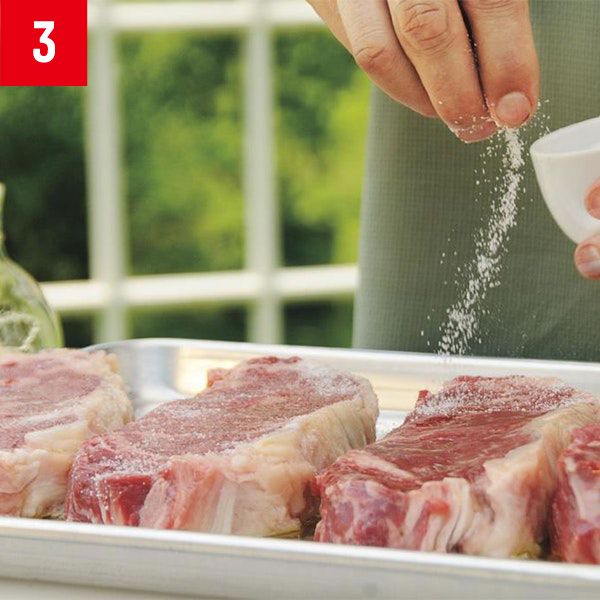 Sometimes coarse salt and freshly ground pepper are all you need for a great-tasting steak.